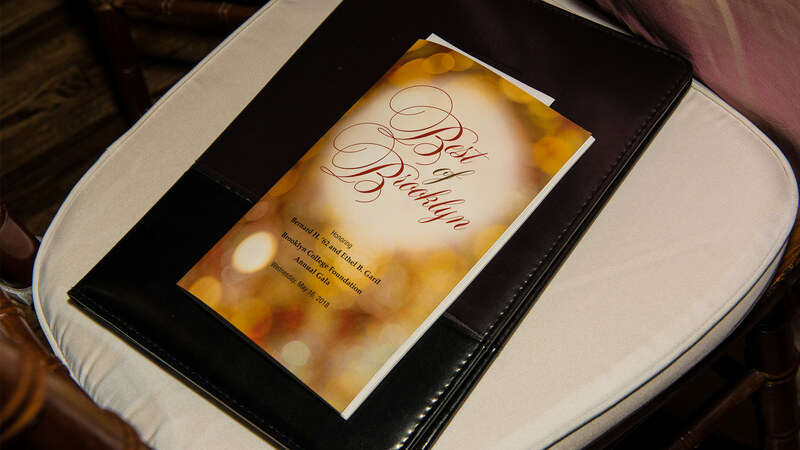 2018 Best of Brooklyn dinner journal and program. 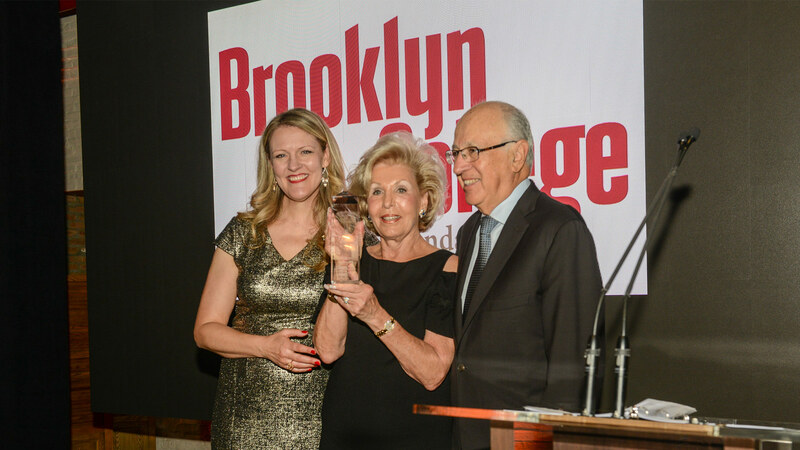 Bernie and Ethel Garil accepting their Best of Brooklyn Award from President Michelle Anderson. 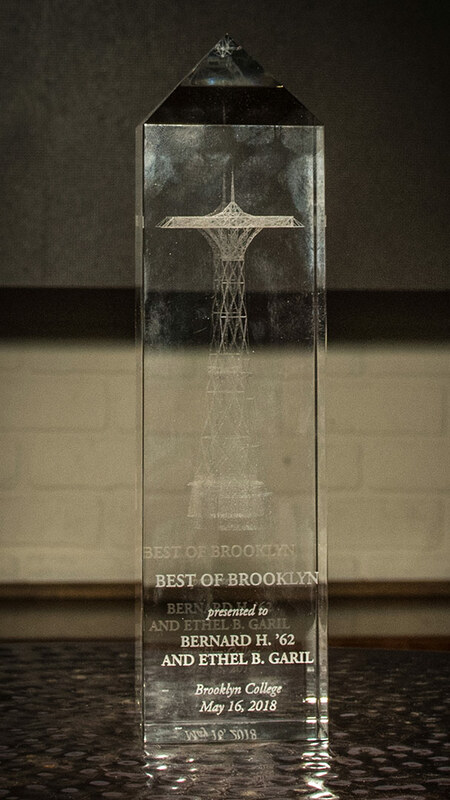 The 2018 Best of Brooklyn Award, featuring the famed Coney Island Parachute Jump. 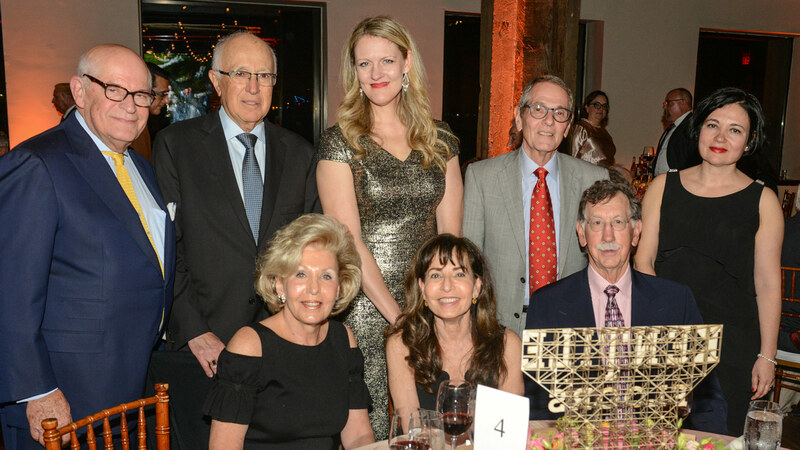 Robert Goodman, Bernie and Ethel Garil, President Michelle Anderson, Madelyn and Arthur Goodman, Dr. Stephen Sallan and Professor of Chemistry Maria Contel. Herbert Hoover–carved centerpiece of Brooklyn College's LaGuardia Hall. The Garils and friends from the Leukemia & Lymphoma Society (from left): L&LS board member Jim Beck, Liz Copley, CFO Rosemarie Loffredo, Philanthropy Director Irv Geffen '75, National Chairman of the Beat AML (Acute Myeloid Leukemia) Campaign Michael Copley, board members Bill Behnke and Alice O'Rourke, and L&LS President and CEO Dr. Louis J. DeGennaro. Ella Weiss '62, M.S.Ed. 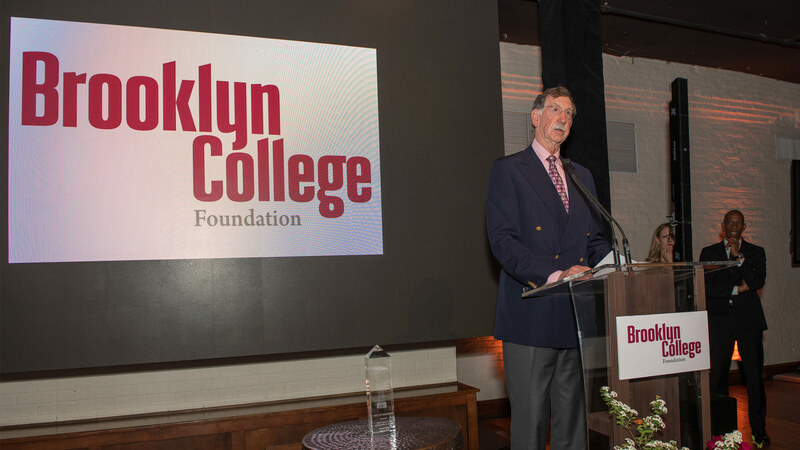 '65, president of the Brooklyn College Alumni Association; Jeffrey Sigler '92, M.S.Ed. '95, past president of the BCAA and the emcee for the evening's festivities; and President Michelle Anderson. 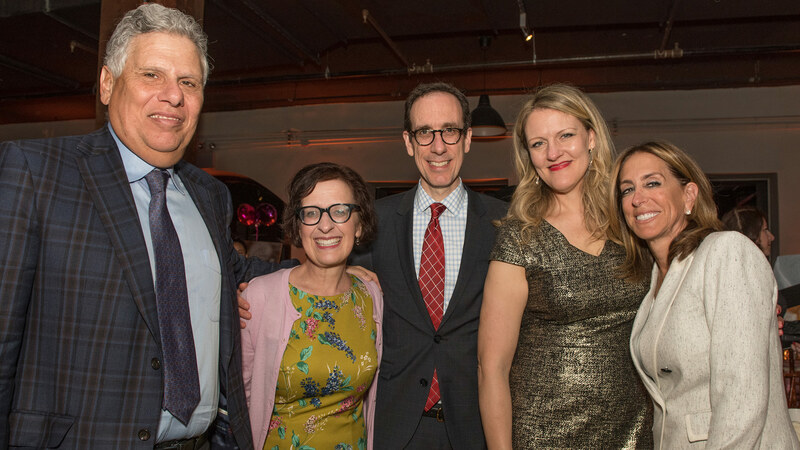 Best of Brooklyn Co-chair Evan Silverstein '76, Kathryn Galitz, Vice President for Institutional Advancement Todd Galitz, President Michelle Anderson, and Renee Silverstein '74. 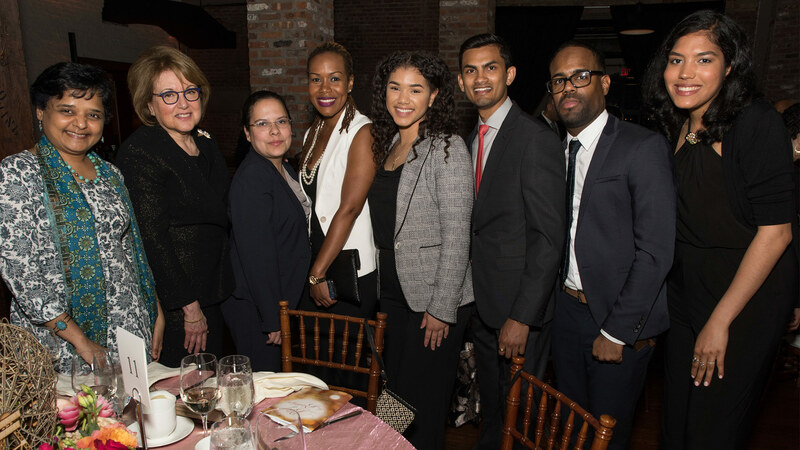 Associate Professor Ajana Saxena, trustee Marge Magner '69, Magner Career Center Director Natalia Guarin-Klein, Octavia Woodroffe, Victoria Hernandez, Shivraj Bhoj, Israel Villa, and Natalie Miolan. 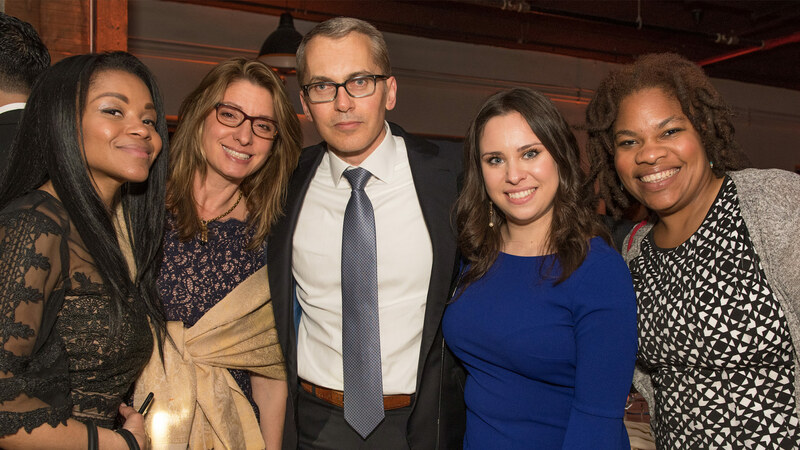 Trustee Doris Bien-Aime, Maria Basic '92, trustee Ante Basic '90, Valeriya Zelenyak '18, and Catherine Braxton. 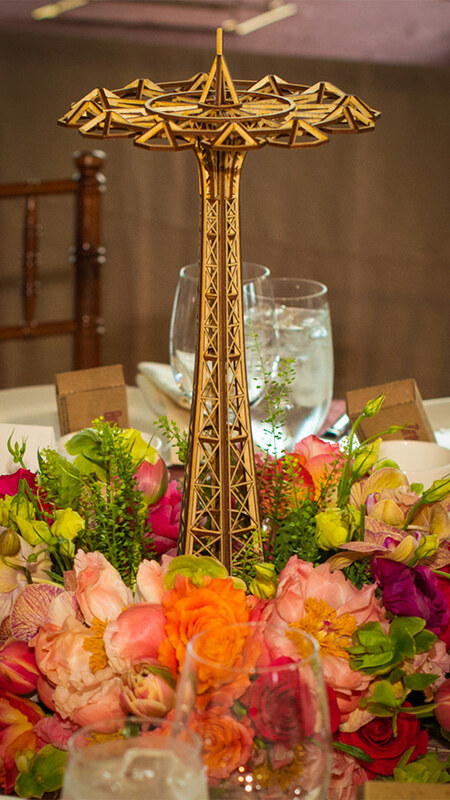 Herbert Hoover–carved centerpiece of the Coney Island Parachute Jump. 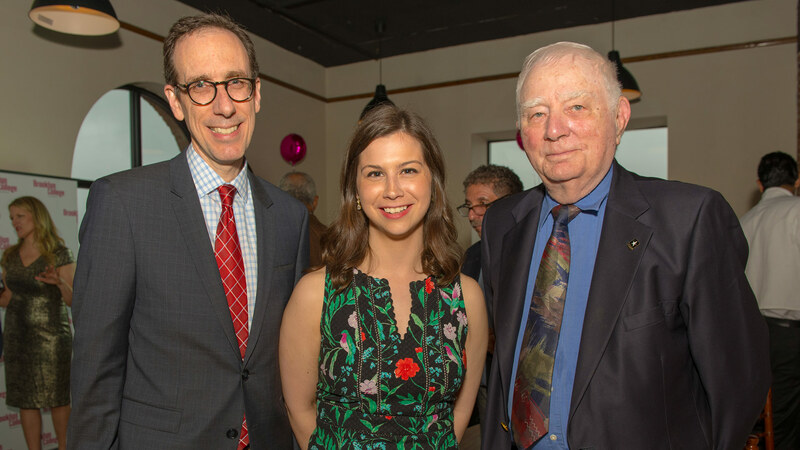 Longtime Garil family friend Dr. Stephen Sallan, professor, Pediatrics, at Harvard Medical School, and the Quick Family Chair, Pediatric Oncology, Dana-Farber Cancer Institute. 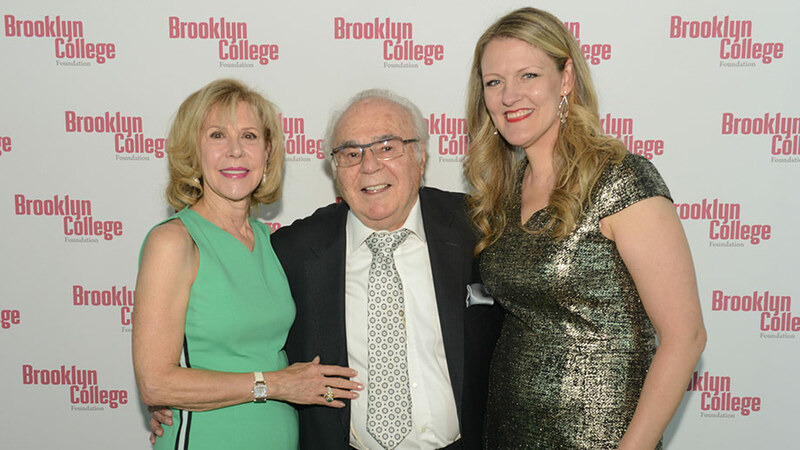 Doris and former Brooklyn College Foundation chair (and 2015 Best of Brooklyn Honoree) Edwin Cohen '62, and President Michelle Anderson. 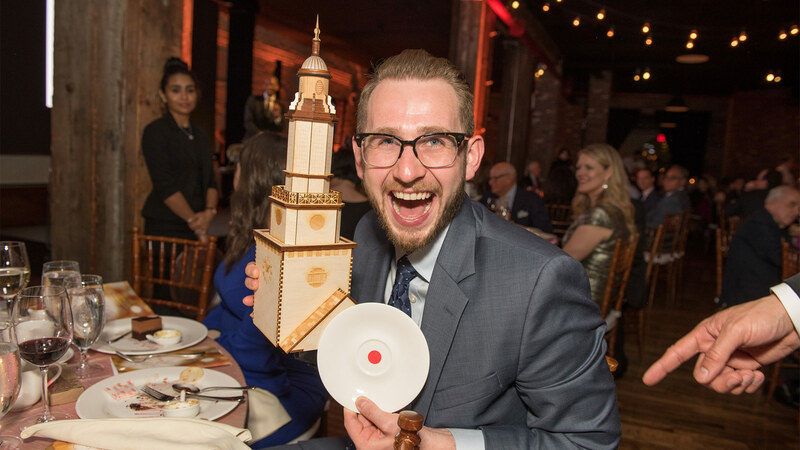 Brooklyn College Foundation trustee Pawel Walczuk '10 is elated to win a Brooklyn College LaGuardia Hall Tower, carved by artist Herbert Hoover. President Michelle Anderson and trustee Leonard Kurz. 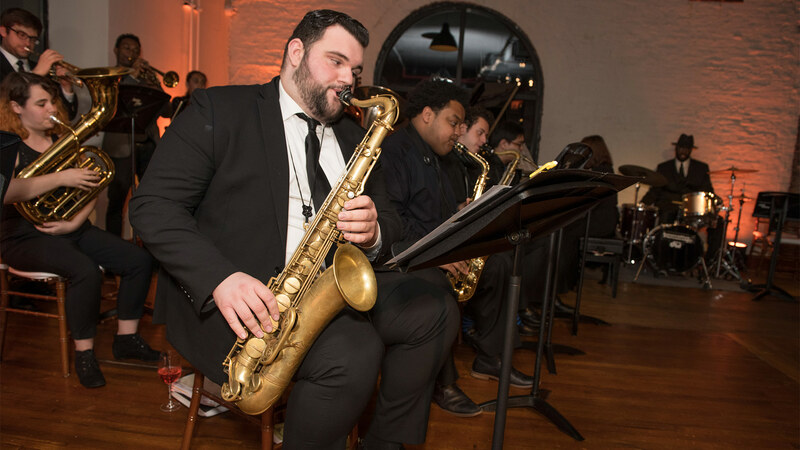 Tenor saxophonist Ben Redzovic '19 solos with the Brooklyn College Conservatory of Music Big Band. 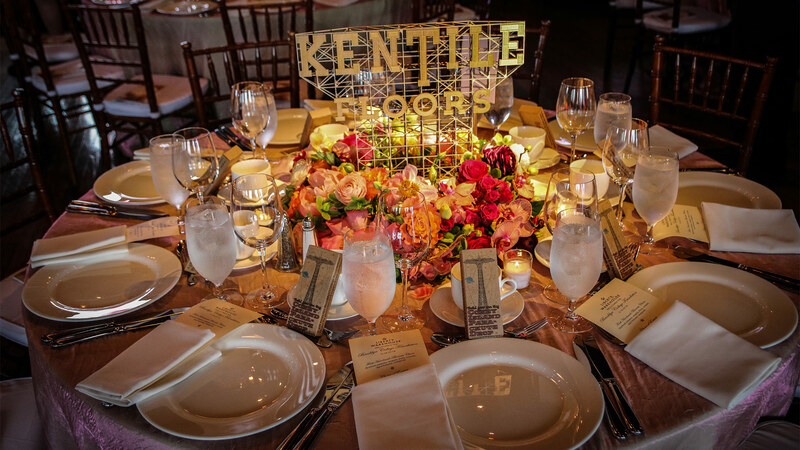 Herbert Hoover–carved centerpiece of the iconic KenTile sign that once stood over the Gowanus Canal. 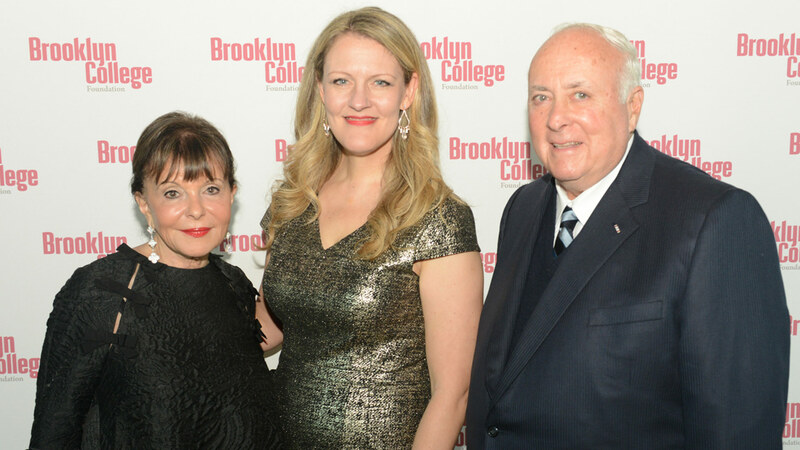 President Michelle Anderson and 2013 Best of Brooklyn honoree Stu Kessler '51. Ethel and Bernie Garil with past recipients of the Stacey Garil Womack and Michael Garil Internships (from left): Dr. Michael A. Broker '13, Dr. Joseph A. Gotesman '13, Dr. Mustafa Ghanem '13, Akreeti Maskey '14, Dr. Matthew C. Lee '13, Dr. Sun Mei Liu '12, Medina Mishiyeva '16, Martin John '17, Jessica Andersen, and Dr. Pranitha Prabhu '15. 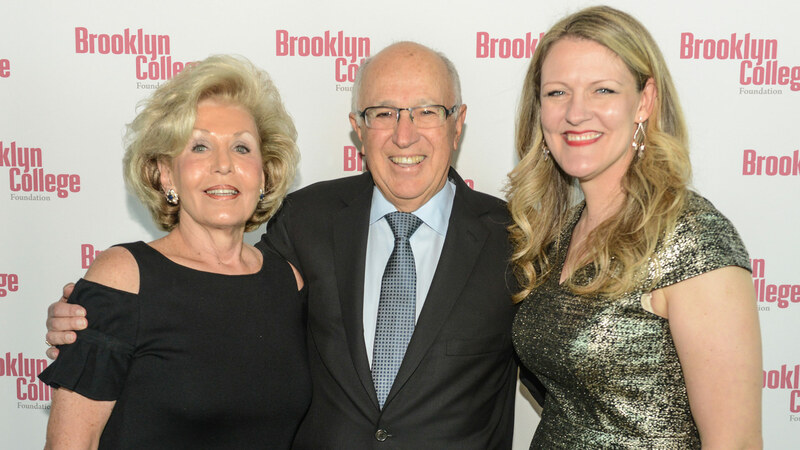 Brooklyn College Foundation trustee Anthony Castellanos '85 and his wife, Dr. Josephine Grima, and Edwin Cohen '62. 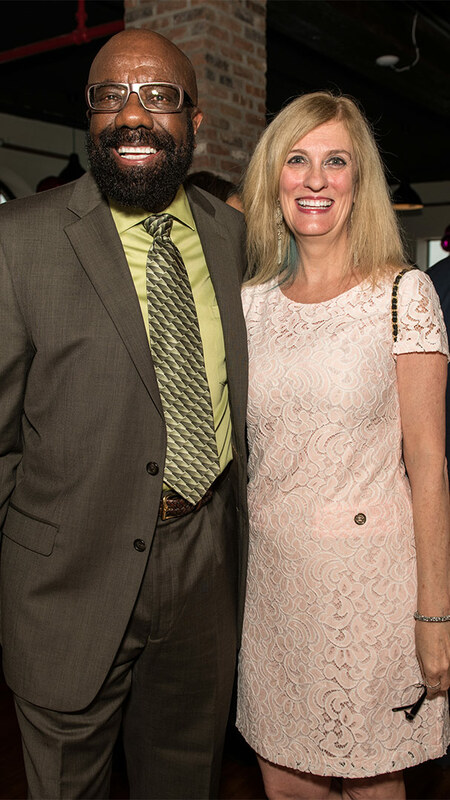 Dean Willie Hopkins of the Murray Koppelman School of Business and Dean April Bedford of the School of Education. 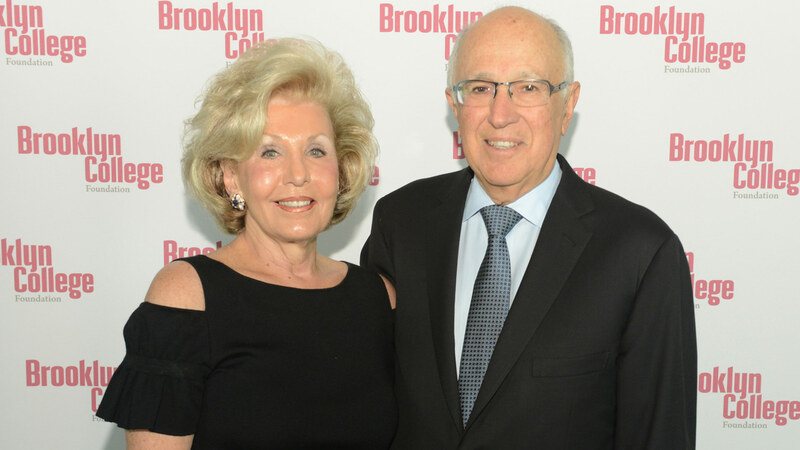 Thelma '54 and Myron '52 Kandel, trustee of the Brooklyn College Foundation and 2003 Best of Brooklyn honoree. 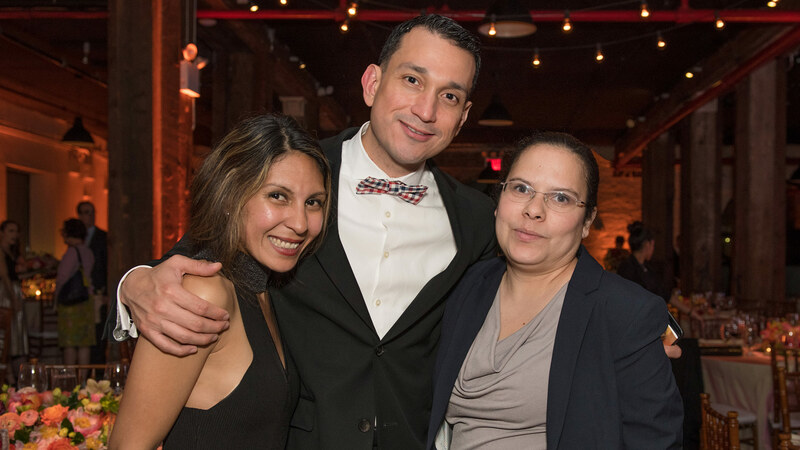 Evelyn Melgar '10 and her husband, trustee Daniel Menendez '08, and Magner Career Center director Natalia Guarin-Klein. 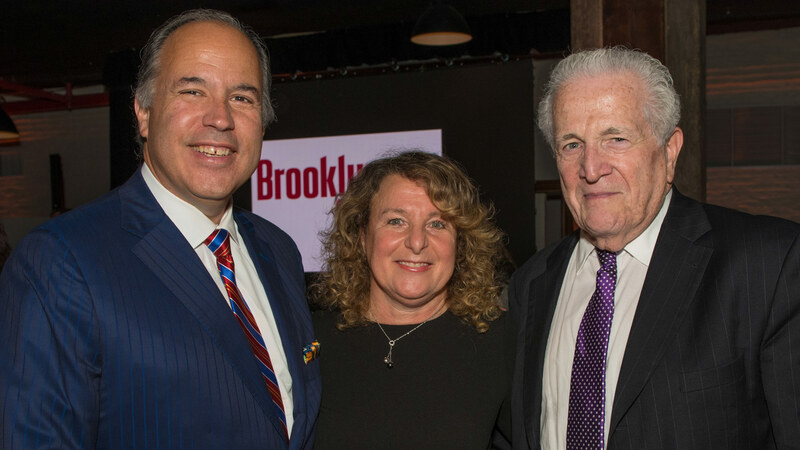 Vice President for Institutional Advancement Todd Galitz, Associate Director of Major Gifts, Brooklyn College Foundation, Bronwyn Cunningham, and Marshall G. Kaplan '49. 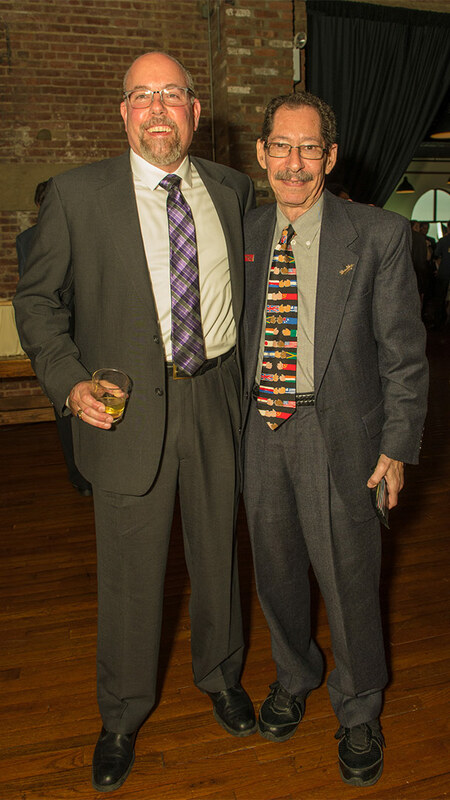 Kenneth Gould, acting dean of the School of Humanities and Social Sciences, and Ron Schweiger '70, Brooklyn borough historian. Edwin '62 and Doris Cohen, and Jeffrey '92, M.S.Ed. '95 and Raquel Maysonet-Sigler, M.S.Ed. '13. 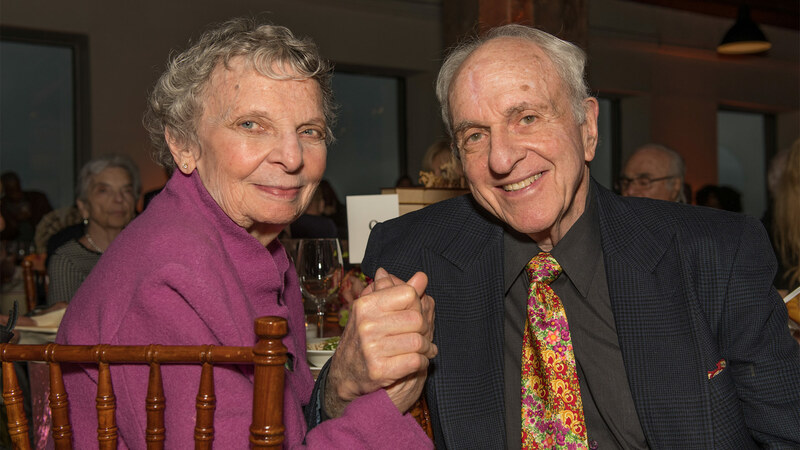 2018 Best of Brooklyn honorees Ethel and Bernard '62 Garil. 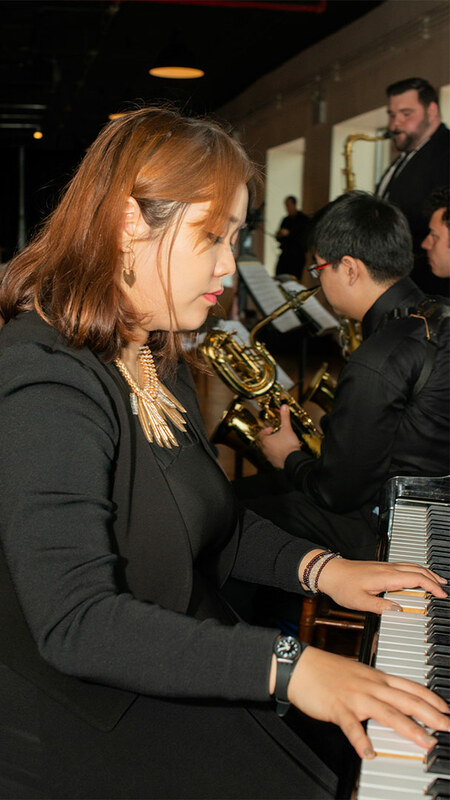 Pianist Yi-Hsuan Chi '14, a student in the Master of Music in Global and Contemporary Jazz Studies Program, leads the Brooklyn College Conservatory of Music Big Band. 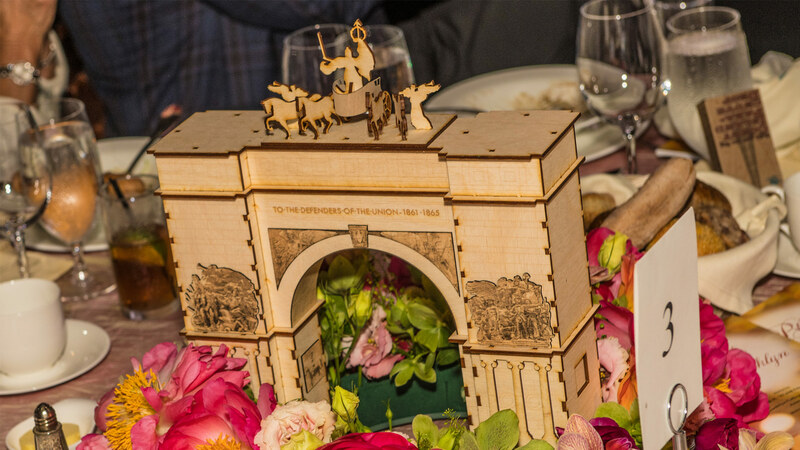 A table featuring a Herbert Hoover–carved centerpiece of the Grand Army Plaza memorial arch. Master of Ceremonies Jeffrey Sigler '92, M.S.Ed. 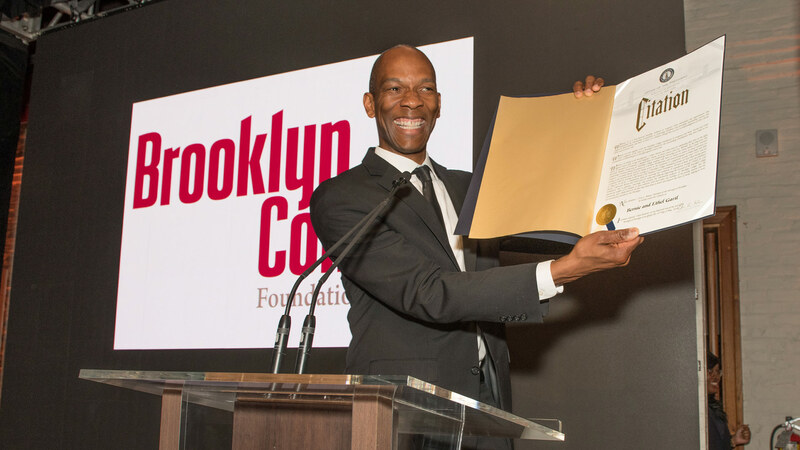 '95 with Brooklyn Borough President Eric Adams' Proclamation honoring Bernard and Ethel Garil. 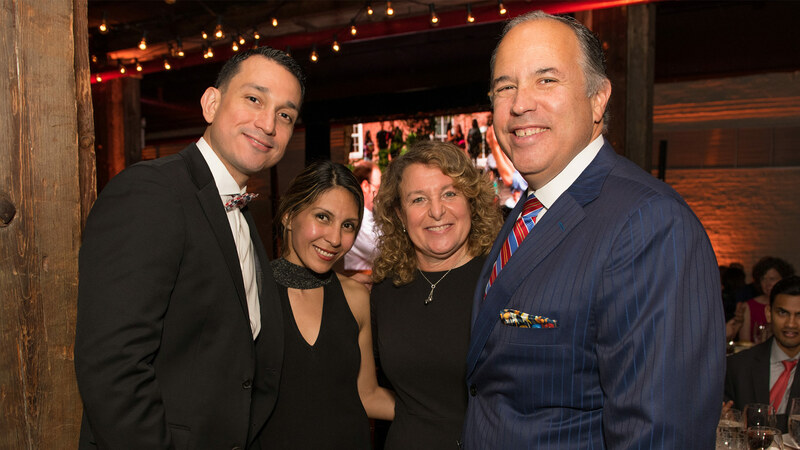 Trustees Daniel Menendez '08, Evelyn Melgar '10, Dr. Josephine Grima, and trustee Anthony Castellanos '85. 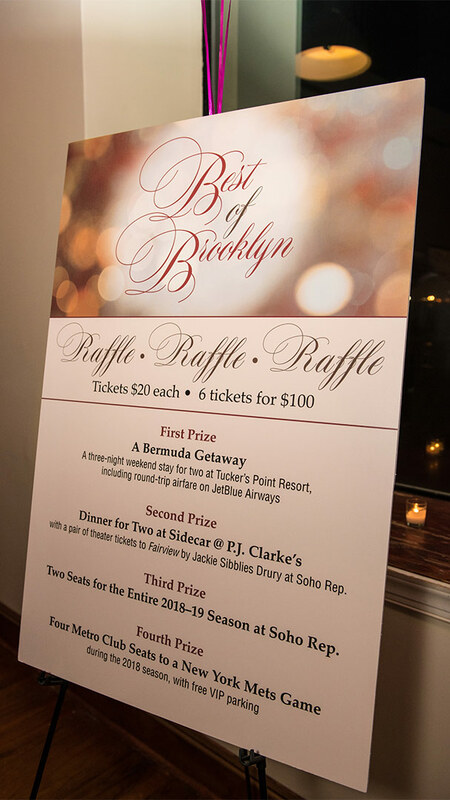 A raffle of items generously donated to the Brooklyn College Foundation concluded the evening. 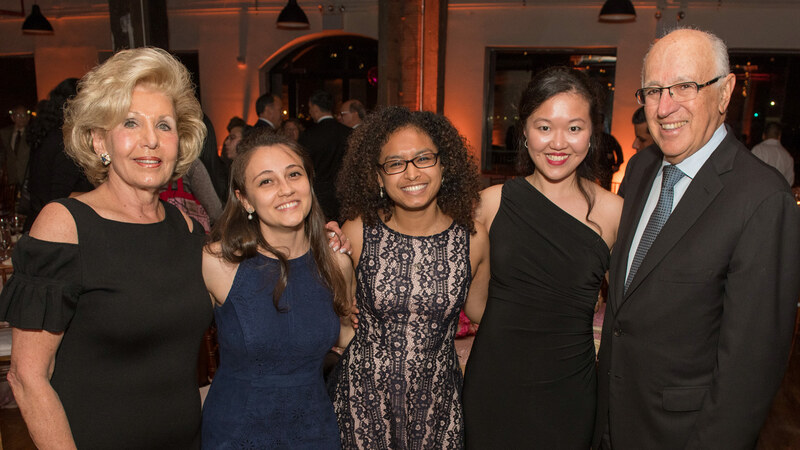 The Garils and three of the interns they have supported: Medina Mishiyeva '16, Akreeti Maskey '14, and Dr. Sun Mei Liu '12. 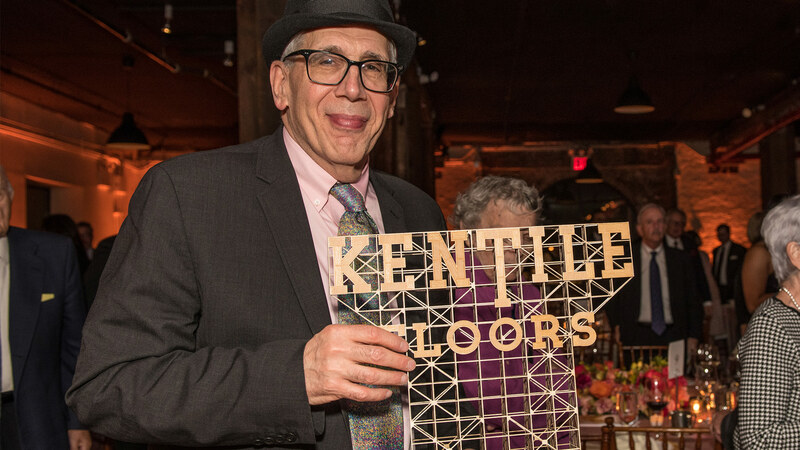 Trustee and Best of Brooklyn Co-chair Leonard Kurz with a model of the late, lamented KenTile sign by artist Herbert Hoover. 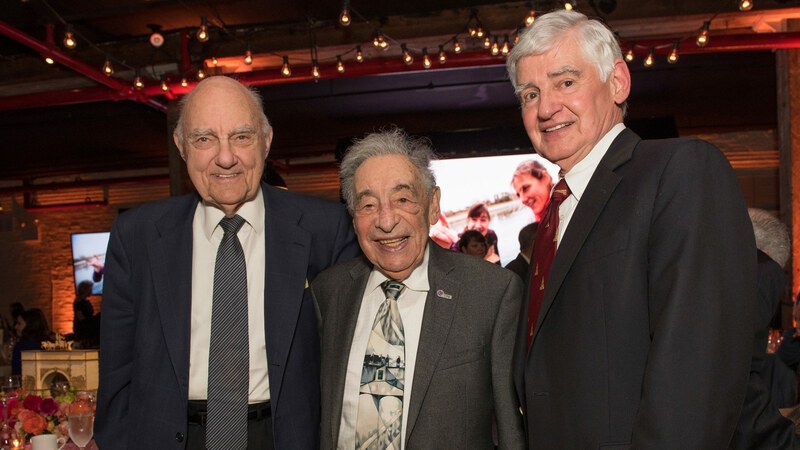 Brooklyn College Foundation trustees Sam Beller '59 and 2013 Best of Brooklyn honoree Stu Kessler '51, and former Brooklyn College President Christoph Kimmich. 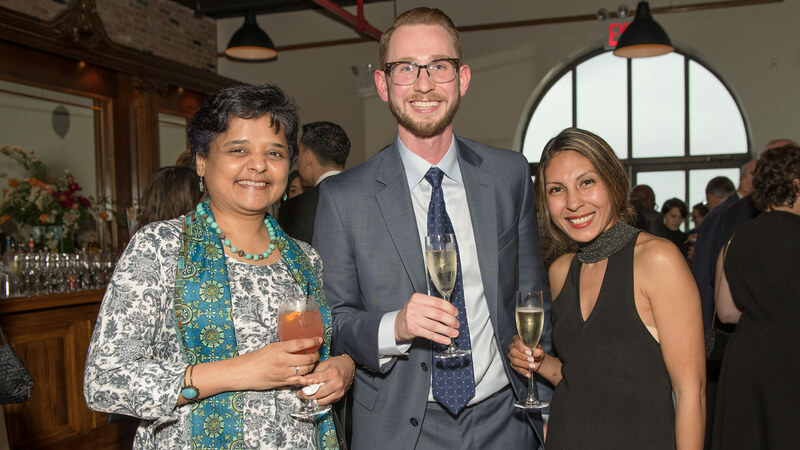 Associate Professor of Biology Anjana Saxena, Brooklyn College Foundation trustee Pawel Walczuk '10, and Evelyn Melgar '10. 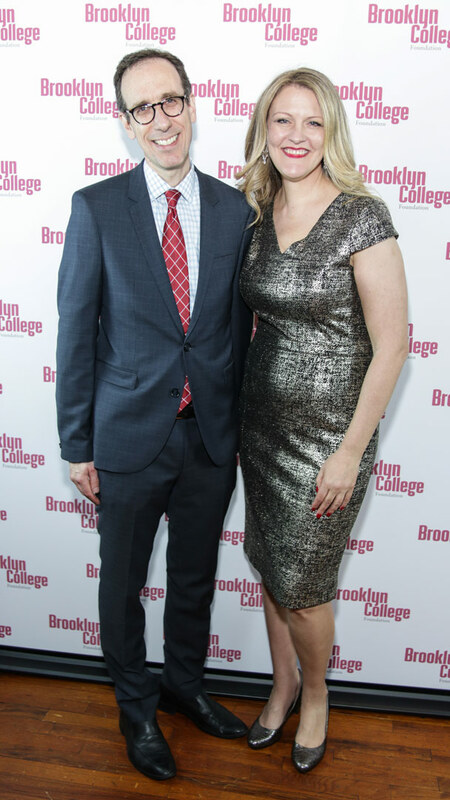 Brooklyn College Vice President for Institutional Advancement Todd Galitz and President Michelle Anderson. Also in attendance were 11 former students who had gone through the internships in cancer research that the Garils created after their daughter, Stacey, died of breast cancer in 1999 at age 28 and their son, Michael, after battling leukemia and the aftereffects of his treatments, died at age 39 in 2006. 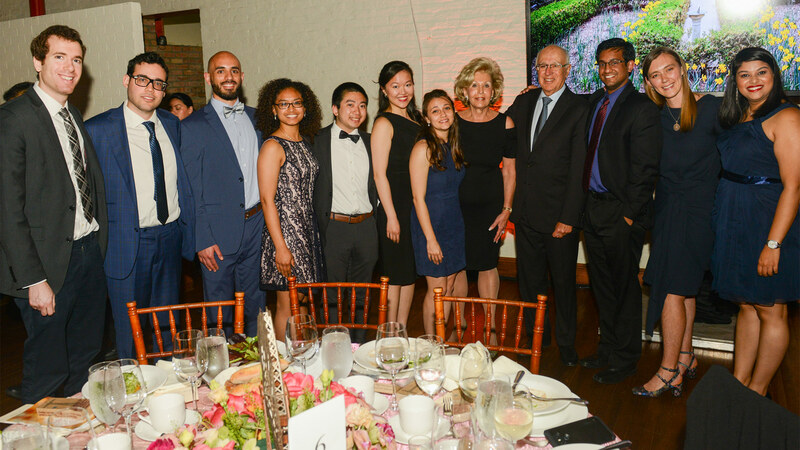 The summer internships, at the Sidney Kimmel Comprehensive Cancer Center at Johns Hopkins and the Dana-Farber Cancer Institute in Boston, bring talented Brooklyn College students interested in medical research into world-class laboratories. 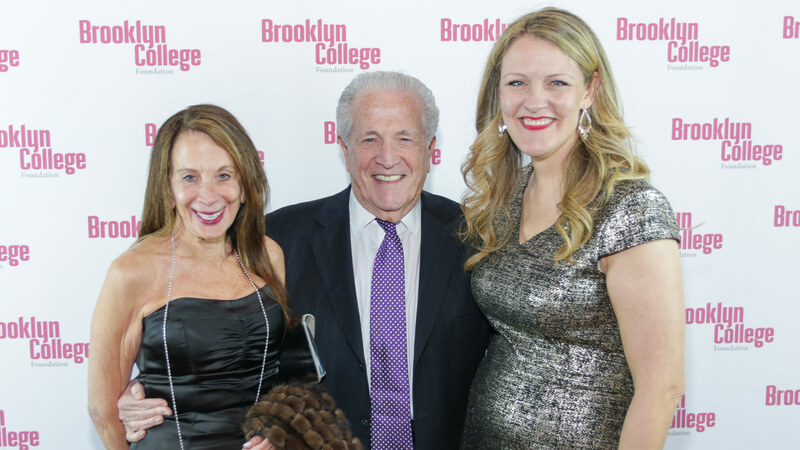 “The interns represent what Brooklyn College is all about,” Bernard Garil told the gathering. “Most are first- or second-generation Americans. Their families have come from all over the world, including Israel, Russia, China, India, Turkey, and the Dominican Republic. They are children of many faiths, including Muslims, Jews, Christians, and Hindus. Most are among the first generation in their families to attend college. Upon graduation they have gone on to study medicine at some of the best medical schools in the country. Those who have completed their formal education are now at some very prestigious hospitals. Most importantly, they are bright young men and women who want to make a difference, and I’m sure that they will succeed in doing that. 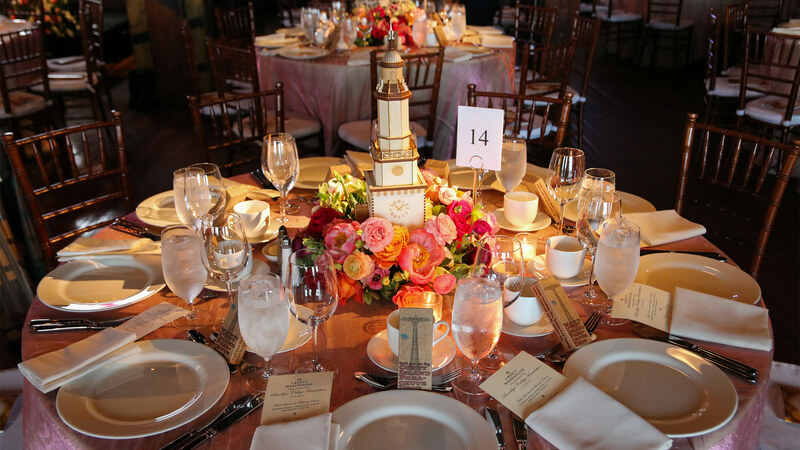 “Obviously, this is a program that means a great deal to Ethel and me,” he concluded, before announcing that the couple is pledging an additional $250,000 to continue the program into the future. A special guest, Dr. Stephen Sallan from the Dana-Farber Cancer Institute, praised the Garils for their long commitment to scientific research. 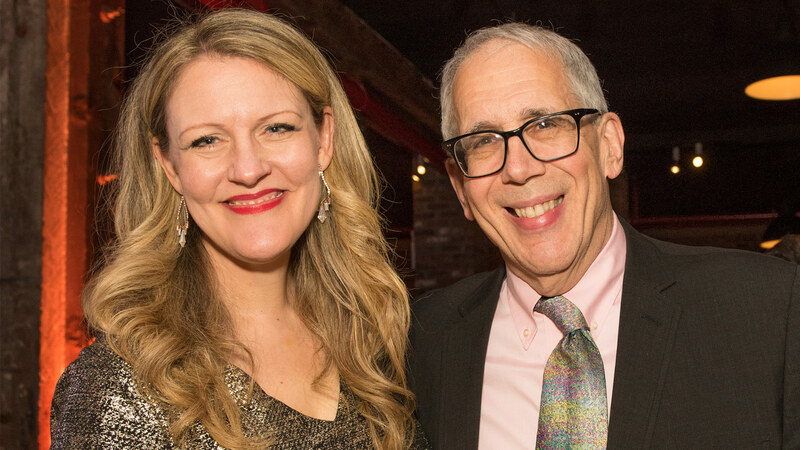 Sallan, who oversees and mentors Brooklyn College students in the program, first treated Michael Garil when he was 14 years old and losing his fight against leukemia. Sallan, a pioneer in the treatment of acute lymphoblastic leukemia, used a revolutionary type of bone-marrow transplant to cure him. 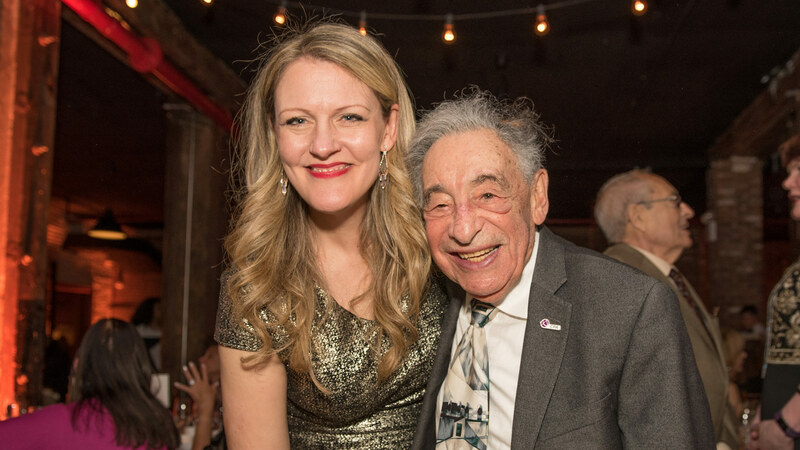 But over the next 25 years Michael suffered from the aftereffects of his treatments and shared his insights with Sallan, who modified the protocols for leukemia patients, resulting in leukemia survivors having a better chance at living long, full lives. 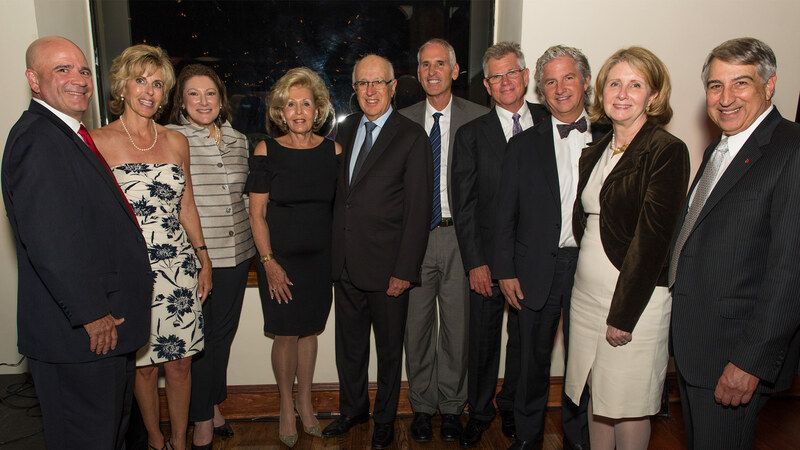 The Garils are longtime supporters of the Leukemia & Lymphoma Society, where Bernie has served on the board of directors for more than 40 years, and fellow LLS board members were on hand in tribute to the couple’s outstanding support. One of the more than two dozen faculty members working in this area, Associate Professor of Chemistry Maria Contel, was recently awarded a $1.57 million grant from the National Institutes of Health for her work on biodegradable nanocarriers and antibodies as targeting delivery vehicles for cancer metallodrugs, part of which will be performed in collaboration with the CUNY’s Advanced Science Research Center and Memorial Sloan Kettering Cancer Center. Her colleague in the Biology Department, Associate Professor Anjana Saxena, is publishing interesting work on how bacteria in the gut affects the growth of certain types of pancreatic cancer. Other departments, including Health and Nutrition Sciences, Psychology, and Computer and Information Science, have faculty working in cancer research. Last year, nine students were invited to participate in the inaugural class of the Columbia University School of Professional Studies’ Center for Systems Therapeutics (CaST) Scholars Program, where each student received a solid foundation in how systems biology is transforming cancer research and precision medicine. Praising the Garils for their “enduring commitment” to support the cancer research internship they established in their childrens’ names, President Anderson concluded by asking the many students and faculty involved in cancer research to stand for a well-deserved round of applause. The event was emceed by Jeffrey Sigler ’92, M.S.Ed. 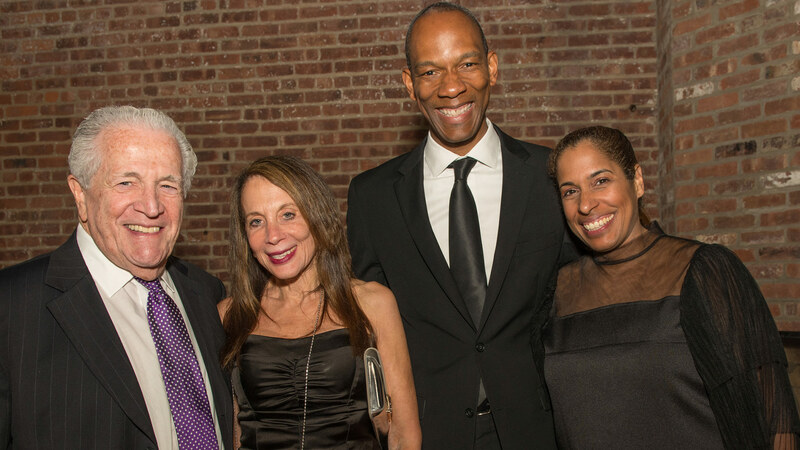 ’95, the director of enrollment management at Medgar Evers College and past president of the Brooklyn College Alumni Association, and was co-chaired by Brooklyn College Foundation trustees Don Kramer ’58, Leonard Kurz, and Evan Silverstein ’76.